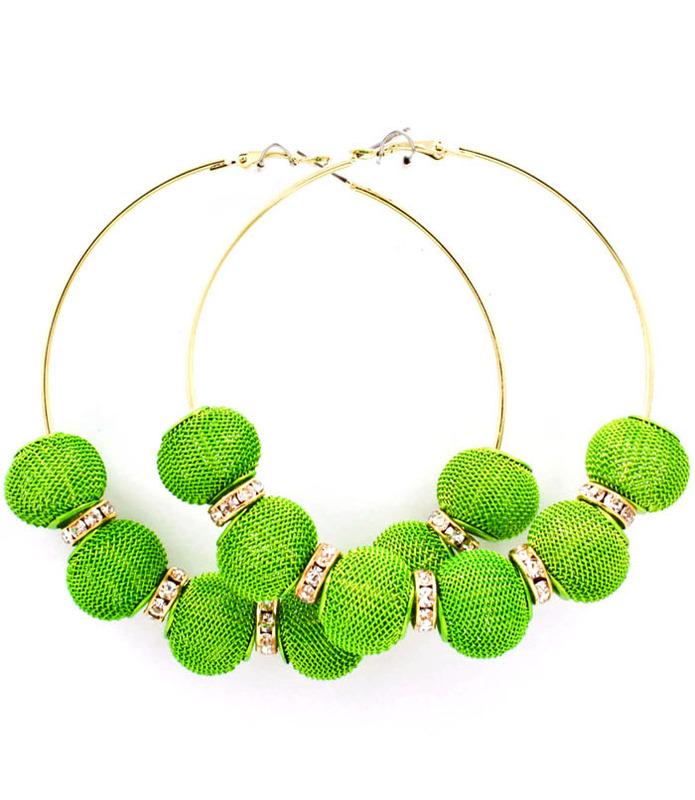 Like a vibrant twist of lime zest, the Gina glows with bright green mesh balls and petite loops of crystals on a delicate gold hoop earring. The essential splash of colour for your day or night look. Shopping for online jewellery has never been so simple and fun. We hope you enjoy browsing our extensive ranges.